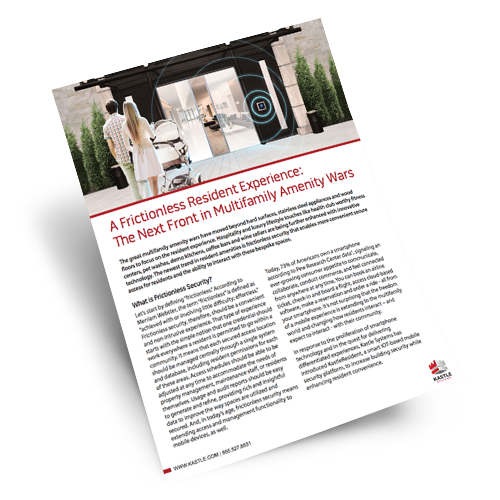 The great multifamily amenity wars have moved beyond hard surfaces, stainless steel appliances and wood floors to focus on the resident experience. Hospitality and luxury lifestyle touches like health club worthy fitness centers, pet washes, demo kitchens, coffee bars and wine cellars are being further enhanced with innovative technology. The newest trend in resident amenities is frictionless security that enables more convenient secure access for residents and the ability to interact with these bespoke spaces.